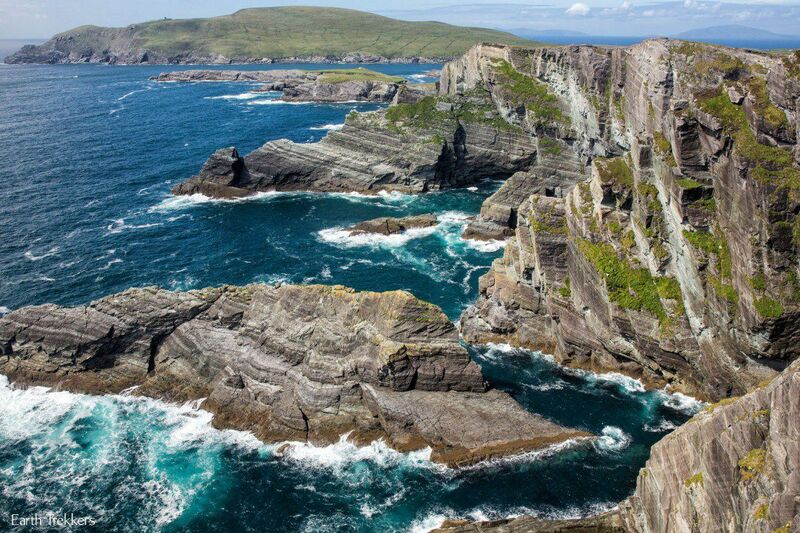 The Ring of Kerry is one of Ireland’s most popular drives. 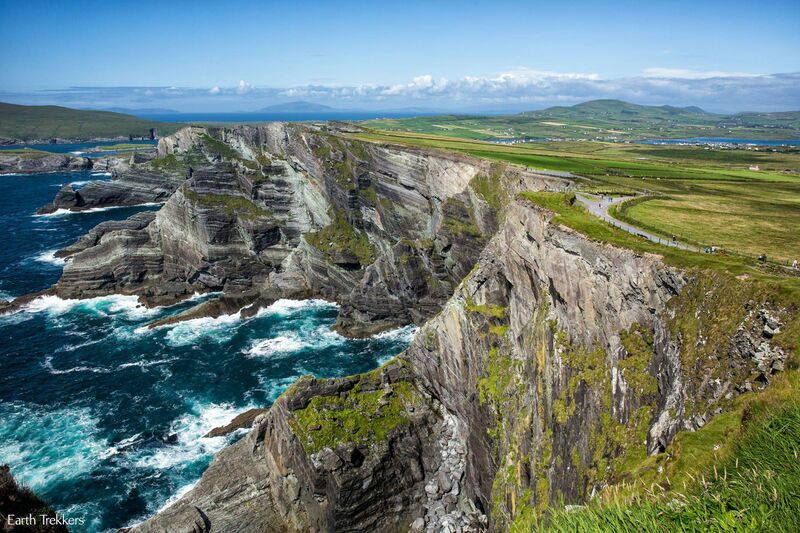 In one day, you can drive through miles of green, rolling hills, explore colorful, Irish towns, and see a fantastic stretch of Ireland’s rugged coastline. It is a beautiful scenic drive and it’s no wonder that it makes it onto so many traveler’s wishlists. We were not so lucky. When you visit Ireland, you expect it is going to rain at some point. The rain is infamous here. How else would this island stay so green without it? On the day we had designated for the Ring of Kerry drive, not only did it rain, but it stormed. Gale force winds whipped across the peninsula. Thick, gray clouds loomed overhead. It was cold, wet, and dreary. 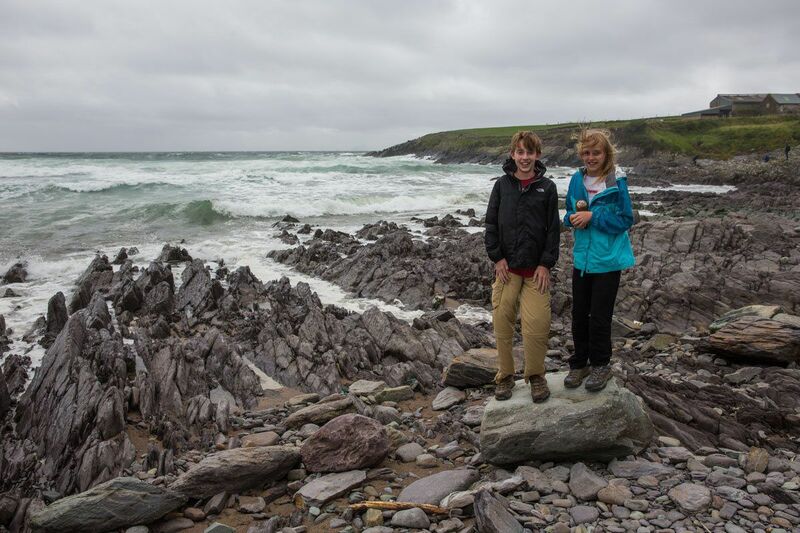 Maybe it was because of the adverse weather conditions, but for us, the Ring of Kerry did not live up to the hype. Even so, I am glad that we saw it. 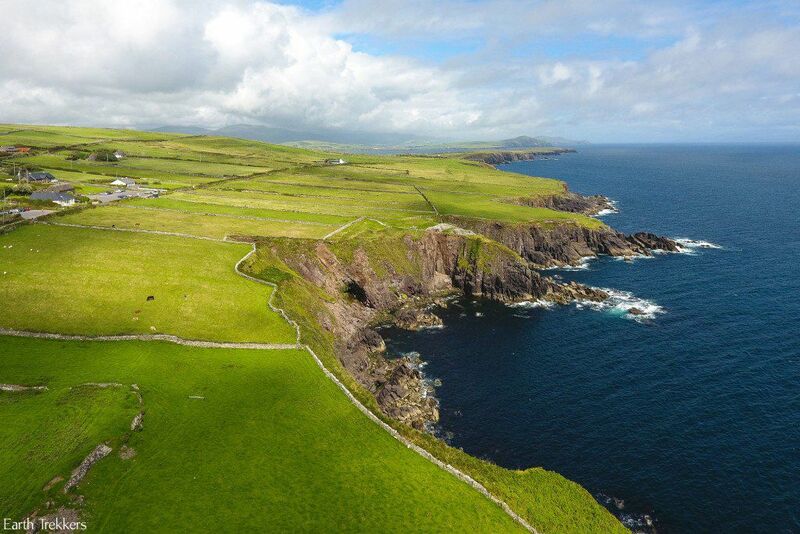 There are some gorgeous spots well worth your time, such as cute little Portmagee, the views out to the Skellig Islands, and the magnificent Kerry Cliffs. 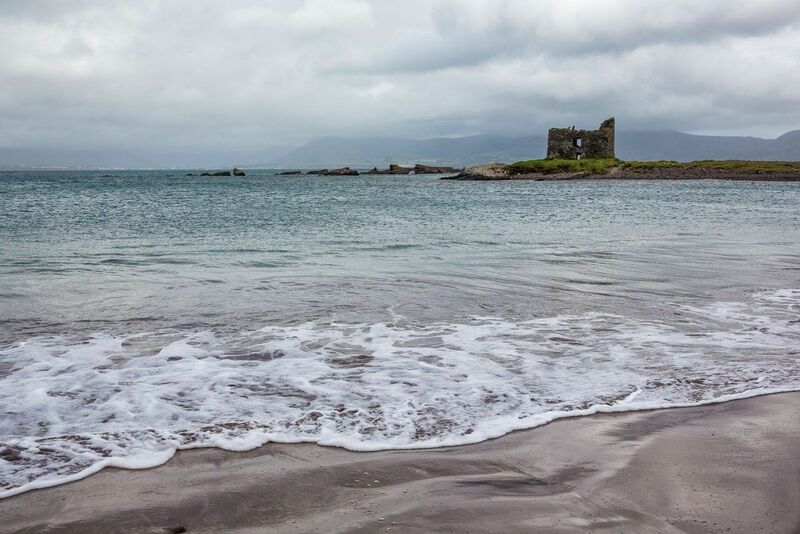 If you are considering driving the Ring of Kerry, here is what you can expect to see (and what it will look like in the rain, which it may do while you are here. Hey, it is Ireland). The Ring of Kerry is 120 miles long. 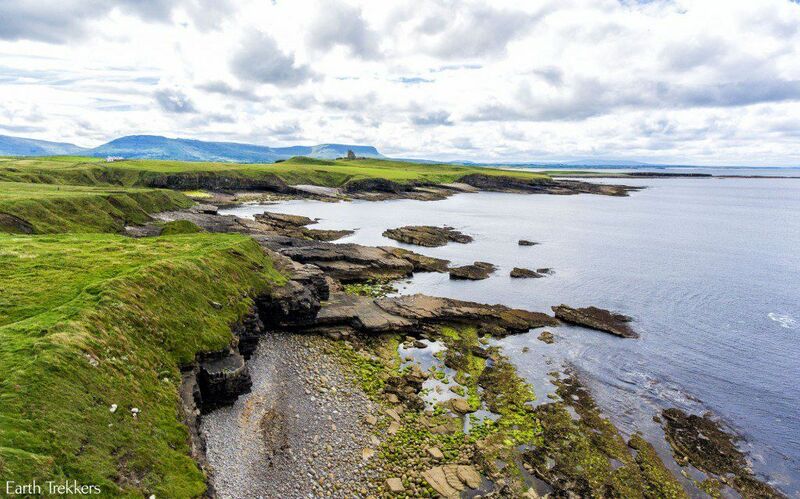 It’s a loop that takes drivers around the Inveragh Peninsula, with much of the driving along the coastline. This drive takes most of a day, especially if you stop at many of the sights along the way. Tour buses drive counterclockwise around the Ring of Kerry. Therefore, you should drive clockwise to avoid getting stuck behind a caravan of buses. If you start your day early (before 9 am) you can avoid most of the traffic. 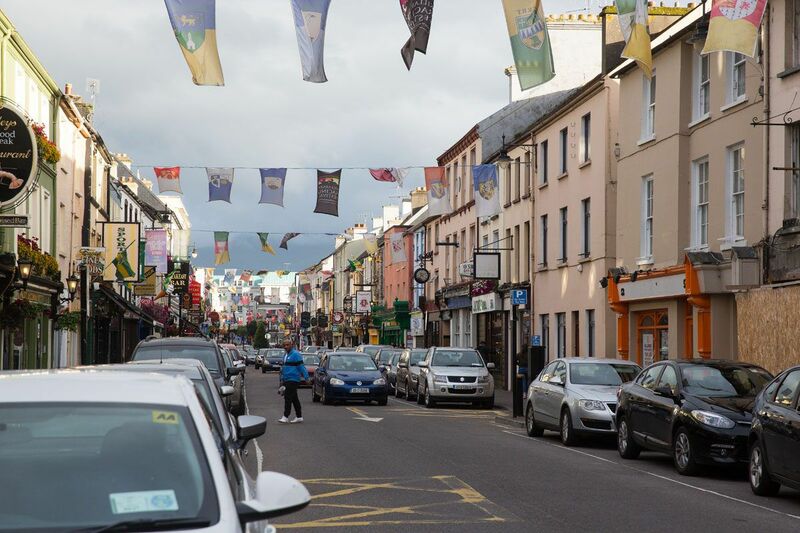 Our loop starts in Killarney, one of the most popular cities to stay if you are visiting the Ring of Kerry. The first part of the day starts with the most mountainous section of the Ring of Kerry. Just south of Killarney is Killarney National Park. 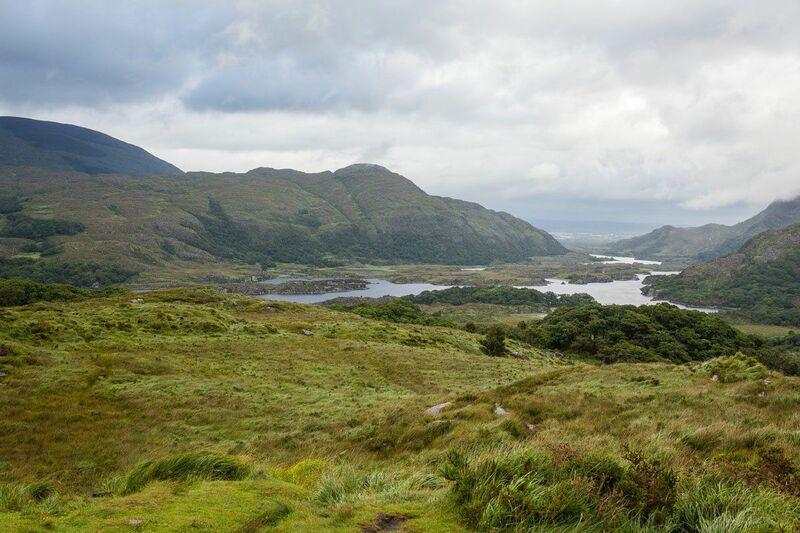 Here, you will drive up and over mountain passes, with sweeping views of mountains and lakes and one of the rare, forested sections on the Ring of Kerry. The roads are lined with insanely large rhododendrons. The mountains continue as you drive through Molls Gap. This entire section was one of our favorite spots on the Ring of Kerry. From Molls Gap, you will drive through Kenmare and Sneem before reaching the Staigue Stone Fort. Follow the turnoff and drive 2.5 miles (for what feels like forever) along very narrow, hilly roads until you arrive at the Stone Fort. 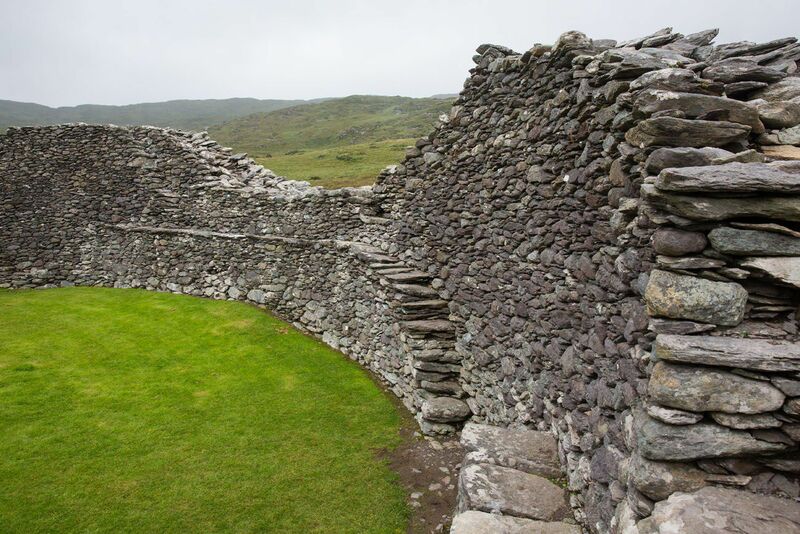 The Staigue Fort is one of the largest stone forts in Ireland. Technically, it is free to enter, but €1 donations are appreciated. Continue the drive through Caherdaniel. If you are interested, take a detour to Derryane to visit the Derrynane House. This was the home of Daniel O’Connell, the man who worked to gain equality for Catholics in Ireland. 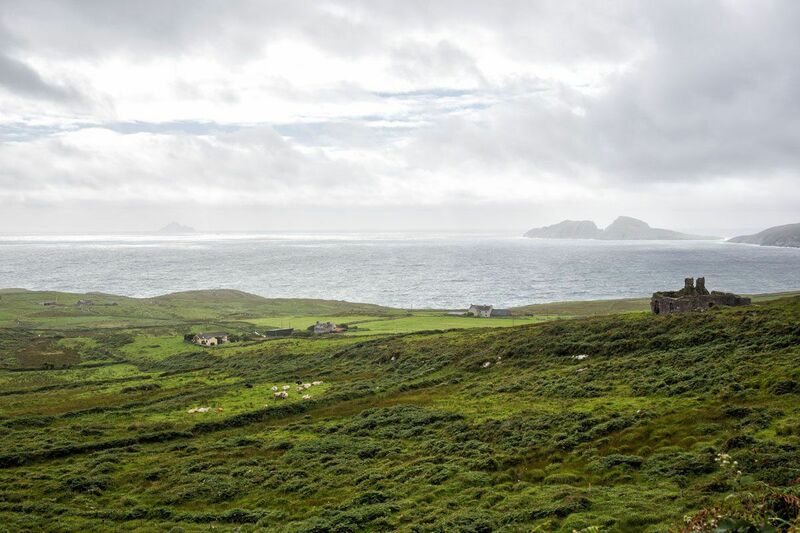 As you arrive at the western edge of the Inveragh Peninsula, the views open up to the Atlantic Ocean and the Skellig Islands. Our photos do not do this justice, since it was so overcast and rainy on our drive. Enjoy the views and the quick drive through Waterville. Past Waterville, follow the signs for the Skellig Ring Road. The road narrows here and the views get a little more dramatic. You get to escape the tour buses, since the Skellig Ring Road is too narrow for oversized vehicles. For another quick detour, complete with the ruins of a castle with beach views, take the turnoff for Ballinskelligs Castle. 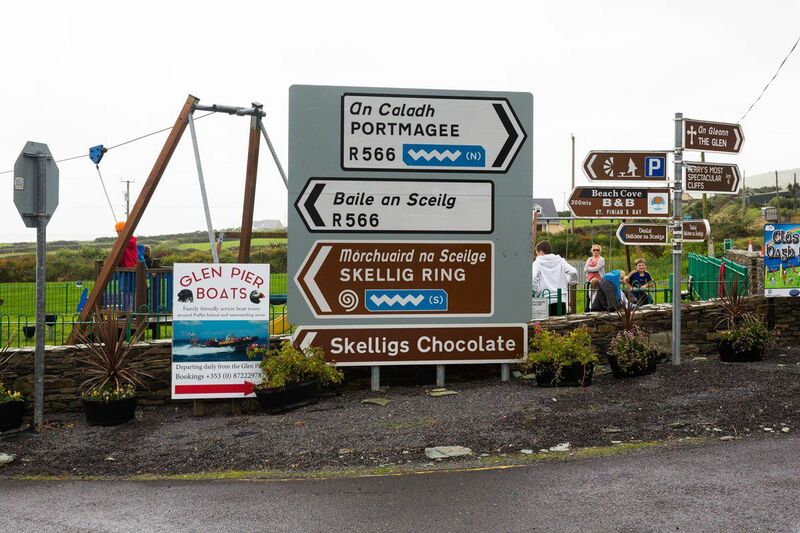 Skelligs Chocolate, located right on the Skellig Ring Road, is a great place to satisfy your sweet tooth. Beware, this place can be crowded on rainy days…it’s the perfect pitstop for a sweet snack and some hot chocolate. 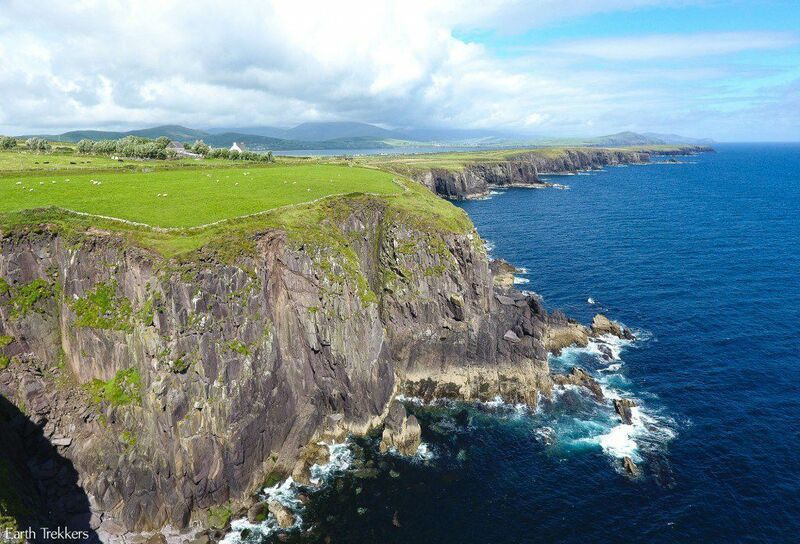 For the most stunning view on the Ring of Kerry, this is your spot. Turn off at the signs alerting you to “Kerry’s most spectacular cliffs.” We weren’t sure if the €4 would be worth it, but it was. This is a gorgeous spot. We skipped this on our first loop of the Ring of Kerry. On a separate day, we took the day trip out to Skellig Michael, and fortunately had much clearer weather. After Skellig Michael, we came back to this viewpoint, which is why these photos are brilliantly sunny. By the way, if you are looking for a unique experience, consider the day trip out to Skellig Michael. Skellig Michael is a remote island and home to an ancient monastery and Puffin nesting site. It was one of our highlights while in Ireland and we highly recommend it. 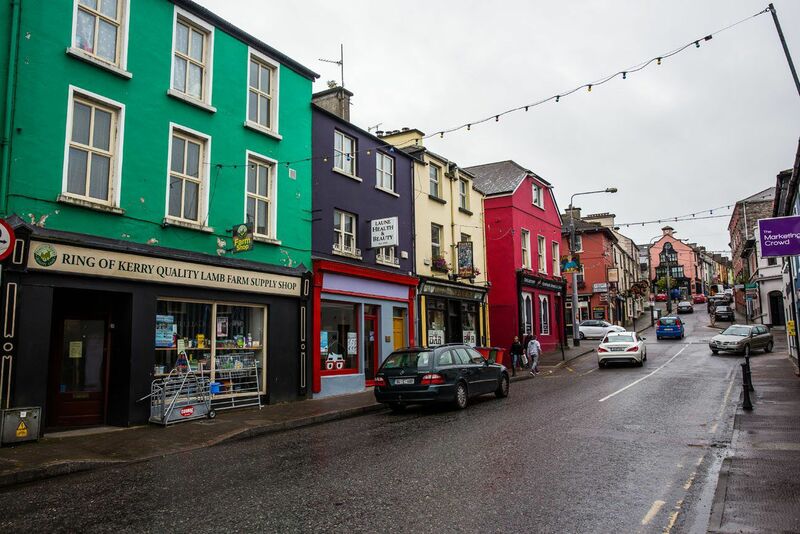 This adorable town is where the boats to Skellig Michael dock. It’s also a great place for lunch. We ate at the cozy Moorings restaurant. Need a bathroom break? 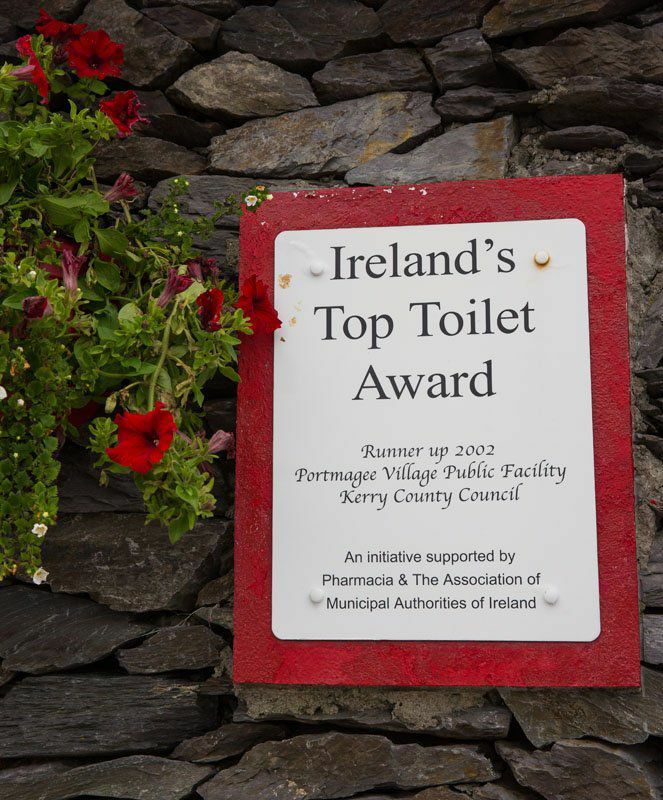 Next to the parking lot in Portmagee is the bathroom that was awarded Ireland’s Top Toilet Award in 2002. 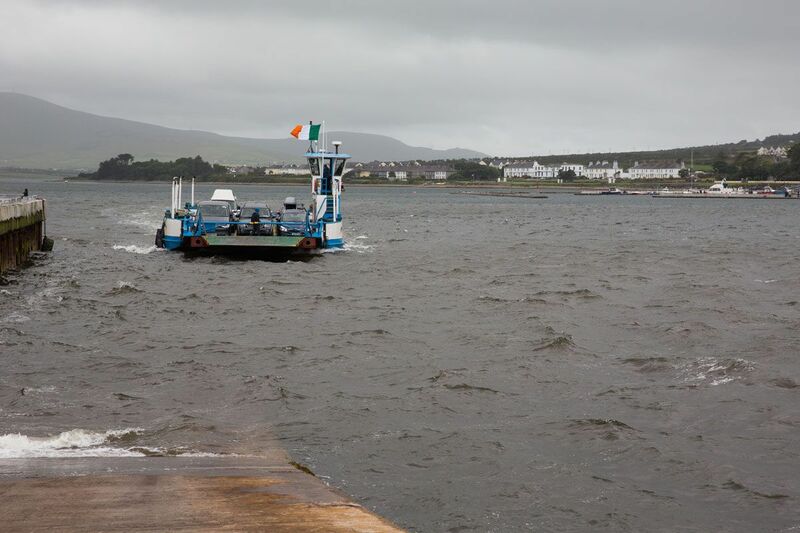 Cross the bridge onto Valentia Island. The Skellig Experience Centre teaches visitors about the history of the monks on the Skellig Islands. 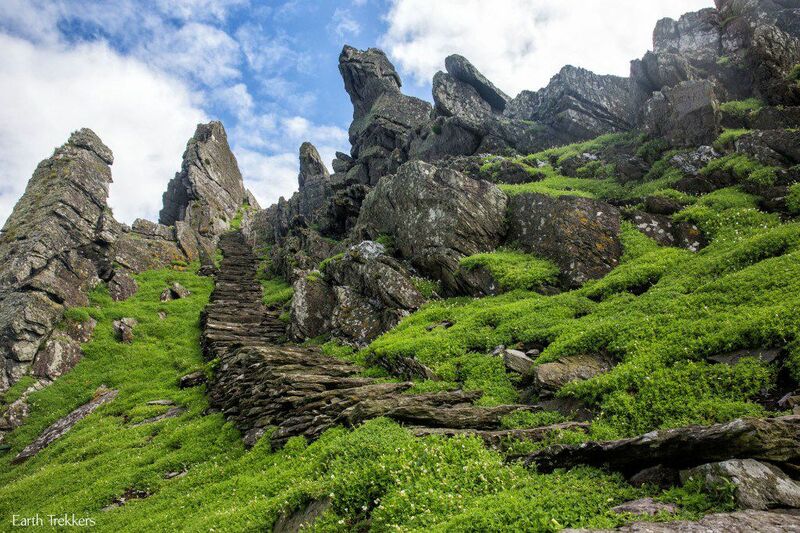 A visit here is recommended if you do not have plans to visit Skellig Michael. 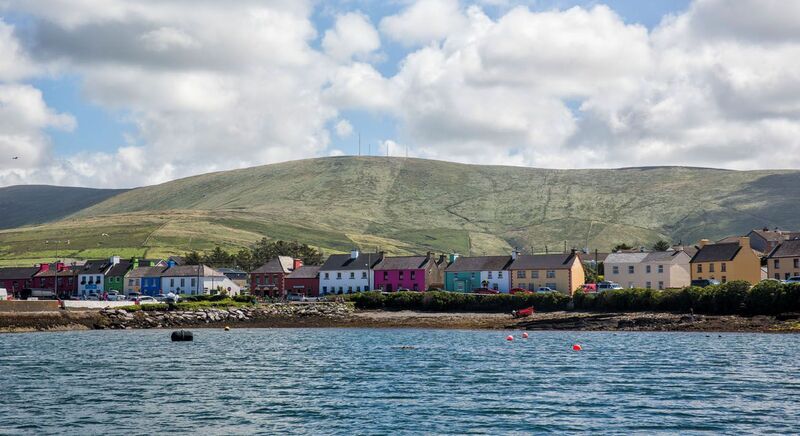 After visiting the Skellig Experience Centre, you can drive along Valentia Island and take the small ferry back to the mainland or cross the bridge back to Portmagee and then follow signs to Cahersiveen. For the remainder of the drive, it’s all about the scenic coastal views. 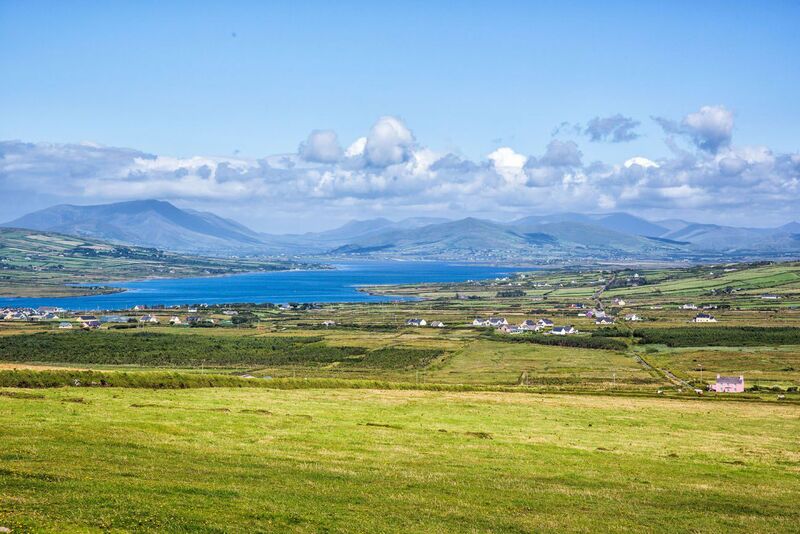 On a clear day, you can see across to the Dingle Peninsula. 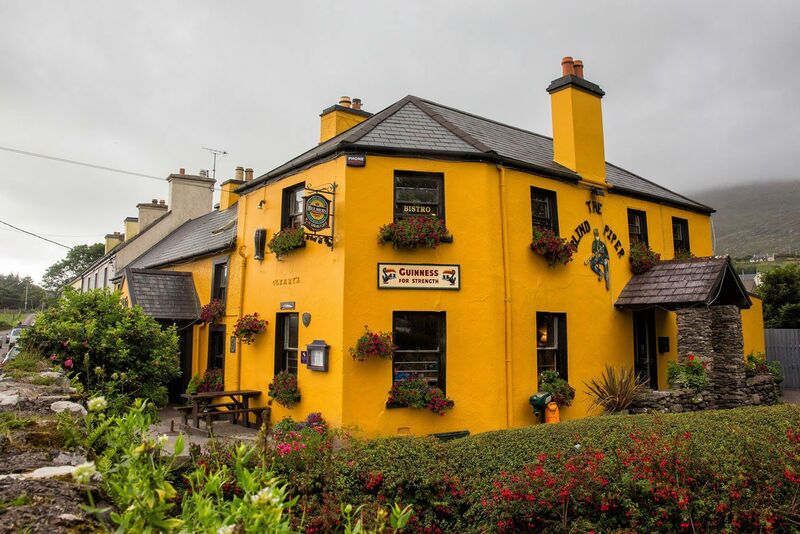 Depending on your timing, you can have dinner in Killorglin or Killarney. Many people stay in Killarney. This is a huge hub for tourists, with lots of hotels and restaurants to choose from. 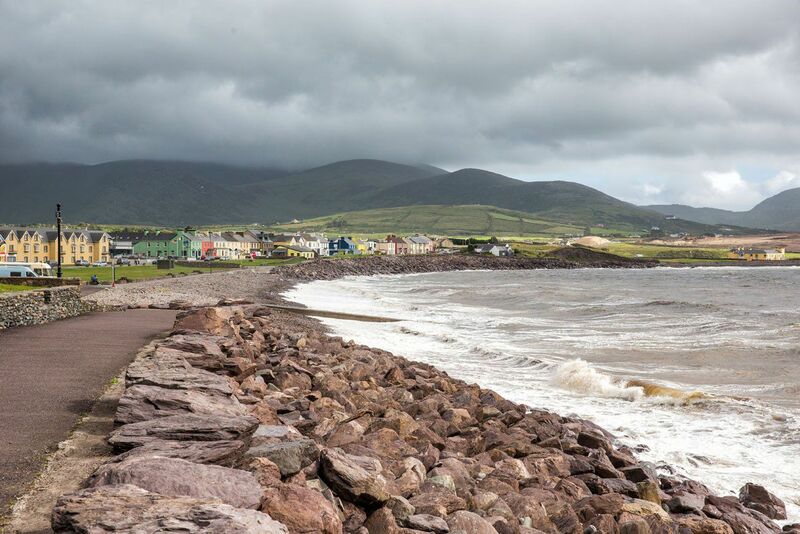 Killarney makes a great base for driving not only on the Ring of Kerry but also the Dingle Peninsula. Many roads on the Ring of Kerry are narrow, two lane roads. In many places, the roads are one lane, very windy, with periodic passing points. Remember, they drive on the left in Ireland! 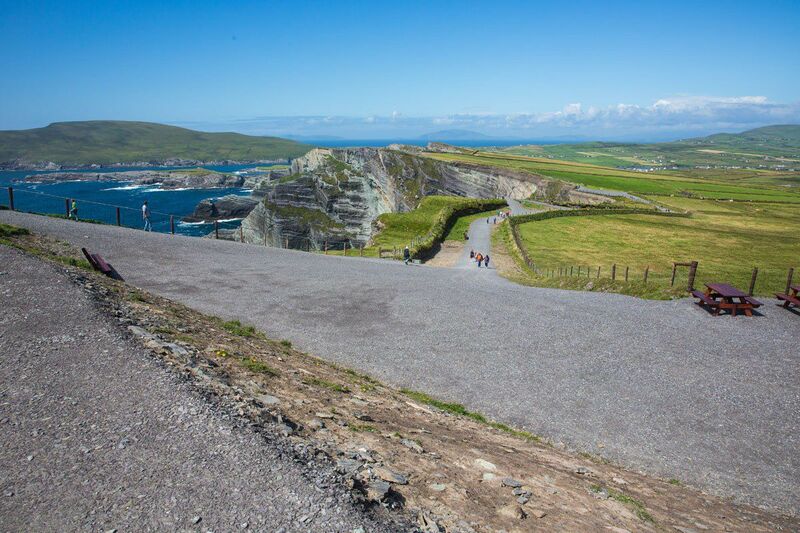 If you do not like the idea of driving these narrow, curvy roads it might be better to visit the Ring of Kerry on a tour. It helps to have a map of the Ring of Kerry, however, the roads are very well marked. There are numerous signs directing you to turn-off’s and scenic viewpoints along the way. 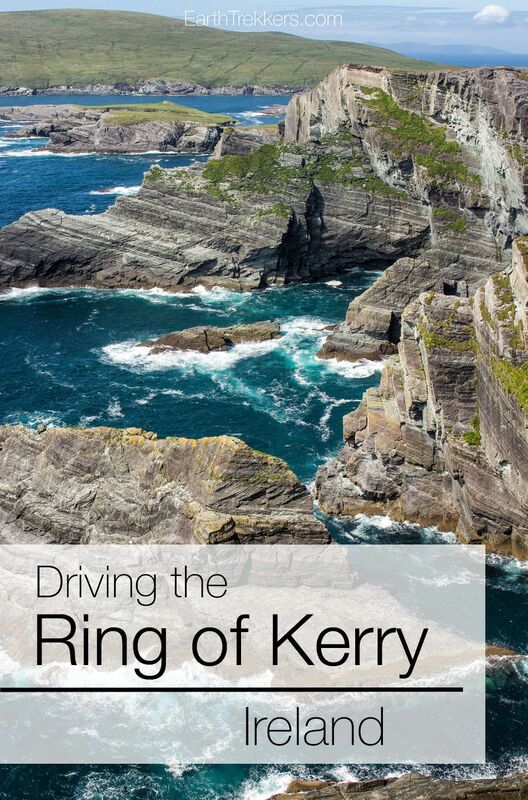 Do you have plans to drive the Ring of Kerry? If you have any questions, comment below! Hi! I would like to make the drive of Ring of Kerry drive but I think that all of it will be tiring for us since we will be staying in Cork. Which are the spots that you suggest most also considering we are going to do the National Killarney park on a separate day on it`s own hiring a bike.